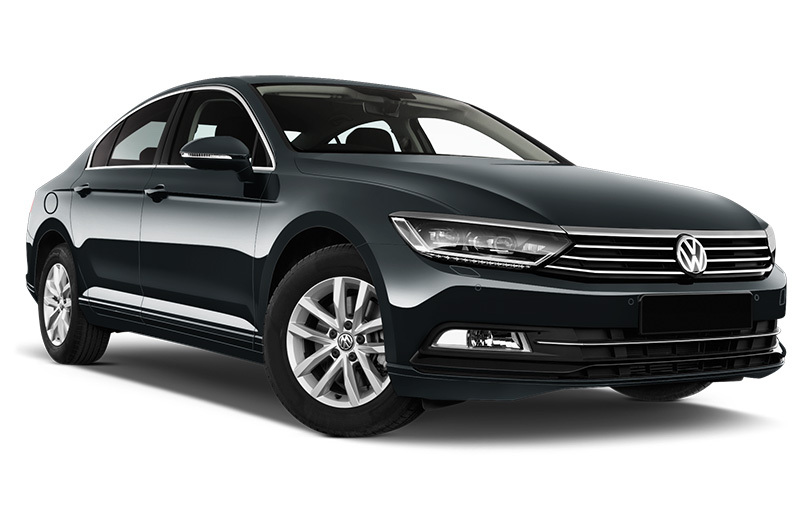 Our position as a prominent vehicle leasing and fleet management company corroborates our ability to provide the entire range of Volkswagen models. For further Volkswagen contract hire details or another marque please phone us or request a quote. German car maker Volkswagen is the largest manufacturer in Europe. Volkswagen has produced a number of hugely popular vehicles, building a reputation for high quality engineering and build quality in the process. Volkswagen is owned by the German-based Volkswagen Group and shares technology with other Volkswagen Group-owned brands including Audi, Bentley, Bugatti, Lamborghini, SEAT and Skoda. The VW range starts with the up!, an inexpensive city car designed for urban use. The Polo is the German manufacturer's supermini – a strong contender for best-in-class in the small car category, the Polo is now available with fuel-saving BlueMotion technology to drive down costs. Available in three and five-door guises, the VW Polo is also available as a GTI-spec hot hatch. Moving up the range, the Golf is a three and five-door hatchback and Estate with a range of engines, including several fuel-efficient clean-diesel engines and hybrid and all electric variants. The Golf is also available with BlueMotion technology to reduce costs, and is also offered in Golf GTI and Golf R performance versions, as well as the larger Golf SV compact multi-purpose vehicle (MPV) model. A compact and affordable saloon is also available in the form of the Jetta. The Scirocco is a coupe that provides sports-focused handling and performance in a sleek body, while the Beetle is another iconic model available in traditional hatch and convertible forms. The Passat is VW's large family car and is available in four-door saloon and five-door estate models. A three-door VW Passat CC model is also available to fleet owners looking for a more stylish alternative to the Passat saloon. Volkswagen has a range of MPVs, kicking off with the Touran five-door MPV, a compact but spacious box-like MPV with plenty of versatility. The new Sharan is a large people-carrier and plenty of interior space makes it a popular MPV for transporting large numbers of people. Volkswagen makes two sports utility vehicles (SUVs), the compact Tiguan and the large Touareg. The Tiguan offers neat and stylish looks with rugged but versatile dynamics while the Touareg is a large SUV that is nudging the premium end of the market thanks to its quality interior and impressive off-road skills. With a great range of LCVs available in the VW range we appreciate that making a decision on your next van is never straightforward and that’s why, with our many years of van leasing experience, we pride ourselves on being able to offer genuine transparent advice to our van customers. Speak to an advisor about your options. There are many benefits of leasing and flexibility and choice are a key part of those benefits, that’s why we pride ourselves on being able to offer our customers a great range of leasing products. Whether you are looking for a vehicle solution where everything is taken care of within the fixed monthly payment or if you prefer the flexibility of sourcing insurance and maintenance separately, our advisors can help you choose. For more information about contract hire or leasing a Volkswagen, or any other vehicle manufacturer, please contact us on 0345 266 5602.